Wettability alteration can upgrade production of your mature fields. 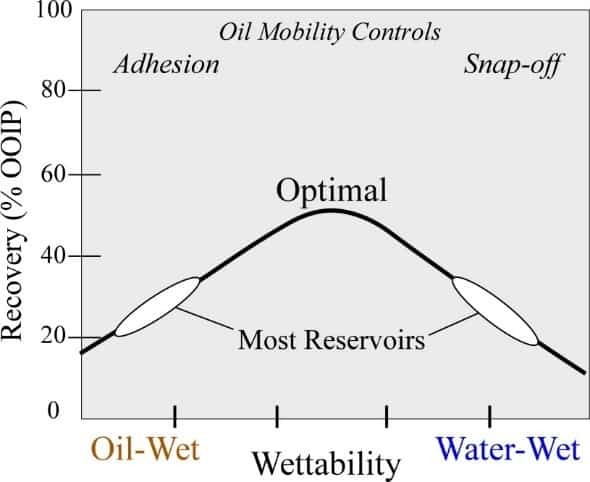 Your current waterflood relies on viscous force to displace oil, but wettability is a big factor that you probably don’t control. Did you know that simply tailoring the inorganic chemistry of your injection water can optimize your reservoir wettability and maximize your production? The patented ESalTM process improves wettability and increases recovery by changing the injection water salinity to increase recovery without adding chemicals. This is achieved by blending the produced water with surface or other ground water in conventional waterfloods. You could get an additional 5-15% of the original oil in place! Why wait?